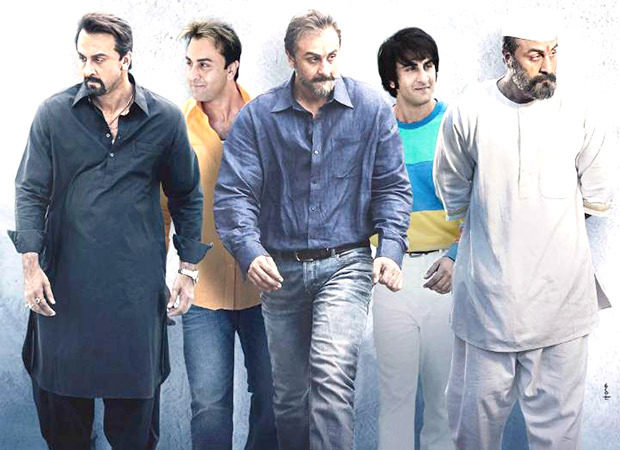 Ranbir Kapoor's Sanju is a bonafide hit alright but looks like fresh trouble brews for the makers. Convicted gangster Abu Salem has sent Rajkumar Hirani and Vidhu Vinod Chopra notice for wrongly presenting him in the movie. There is a scene where Sanjay Dutt confesses to police that he had met Abu Salem among other gangsters who handed him over arms and ammunition which was later associated with the 1993 Bombay Blast case. Salem claims to have never met Dutt and therefore has accused the makers of defamation. The notice reads: The scene where Ranbir Kapoor (pictured as Sanjay Dutt) gives a confessional statement about possession of arms and ammunition during communal tension around our country in 1993, is defaming my client (Salem), as my client never supplied the arms and ammunition, as alleged, to Sanjay Dutt, as pictured in the film. Salem’s counsel has urged the makers to remove the scene in the period of next 15 days and have claimed to take next action if their demand is not met. They also need a written apology for allegedly, ‘insinuating, disparaging and defamatory’ nature of the content of the scene which attacks Salem's reputation. The makers of the film are yet to respond. Meanwhile, Ranbir Kapoor is shooting in Bulgaria with his on and off screen lady love Alia Bhatt for Ayan Mukerji's Brahmastra. After this project, he will shoot for Yash Raj Films’ Shamshera and Luv Ranjan's next with Ajay Devgn. Also Read: Will the success of SANJU rub off on Sanjay Dutt’s Saheb Biwi Aur Gangster 3?